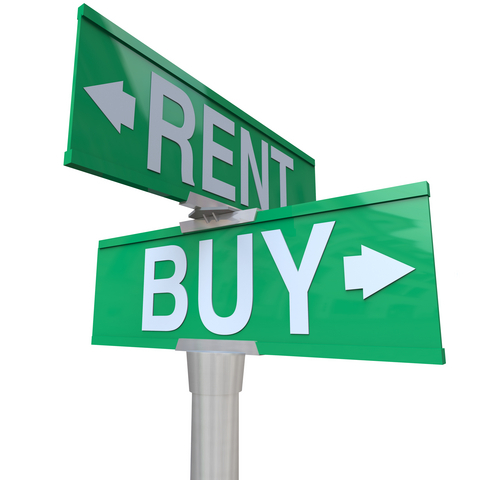 First Time Buyer: Should I Buy or Continue to Rent? I believe that everyone should own a home of their own and that everyone can own a home of their own with proper planning. The question is when. Should it be now or at some point down the road? This post will help answer that question. One decision factor that should not come into play is the condition of the current market. Really, it doesn’t matter. 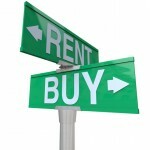 When your personal situation lines up in favor of buying, it is time to make the move. A home is not a short term investment to be traded shortly after purchase. The hold time for a home needs to be years. There will always be unpredictable short term fluctuations in the market but a buyer should only be concerned with the long term. So the first question one needs to answer is…..
1: HOW LONG DO I THINK I WILL OWN THIS HOME? If the answer is less than 5 years, it would be best to delay. In a rapidly appreciating market, buyers get excited and think they can buy today and sell next year for 10s of thousands more. Well, if the timing is right, that may work. But if the timing is wrong (and at some point the music always stops), it isn’t pretty. I strongly advise against trying to time the market. On the other side, I have seen people say, “Prices are way too high. I will wait until they come down before I buy.” Occasionally those folks are right but in our market, very often, they are wrong. There are people I know who have been saying this since 1995 and are still renting. Note, I said that you need to own the home for at least 5 years, not live in the home. It is a perfectly fine scenario to plan to buy the home, live in it a few years and then rent it out. 2: DO I SENSE A CHANGE IN EMPLOYMENT OR INCOME IN THE NEAR FUTURE? WAIT. Do you anticipate being relocated to an office in a different part of the region? You certainly wouldn’t want to buy in Vienna and then find your position relocated to some place in Maryland. DEPENDS. If you think that you will soon get a promotion with a significant salary increase that would change the price range of the home you want to buy, it may be best to wait. However, the change in salary needs to be significant. A normal performance increase will not dramatically change your buying power. A $3000 change in salary will change your buying power by $20,000 +/-. NO NEED TO WAIT. If you will be changing jobs and going into a different line of work, buy before the change. For example if you are a teacher but decide to take a management position with a defense contractor you could have problems. You may need to wait a significant time before the lender is comfortable that the new line of work is stable enough for you to get a loan. NO NEED TO WAIT. If you anticipate a change in employers and will be staying in the same general line of work at the same general salary, there you can buy now or wait. A lender will not have an issue if you change companies for a better opportunity but you do not want to make that change while you are under contract for a home. You will need to produce (depending on the program) one or two paychecks from the new employer. So making that switch in the middle of a contract will likely cause a delay in settlement as the lender will not be able to close the loan without those paystubs. DON”T WAIT – BUY NOW. Now, if you plan to change from a salaried position to a commission based position or if you plan to become self employed, you need to buy now. Most loan programs require two years of tax returns before they will count commission income and/or self employment income. I have a client who bought both a residence and investment property with me a few years back and then a year or so later left a corporate job to start a consulting business. Even though he had clients lined up from day 1 and his self employment income exceeded his corporate income, he could not qualify for another investment property (which he really wanted to do) until he had filed his tax return from his 2nd full year in business. 3. DO I ANTICIPATE A SIGNIFICANT AMOUNT OF CASH COMING MY WAY SOON? This can take two forms. Perhaps there is an inheritance or trust coming due which means a larger downpayment. Or perhaps you are due for a big bonus that will have a similar impact. Usually that is a good reason to wait although there are situations where one could buy now and structure the financing so that when the money is received, the financing is reworked. That is too complicated to explain here but the point is that if the money is coming soon, it may be okay to proceed now. If it is some time off, it may be best to wait. FYI, bonuses are like self employment income for qualifying purposes. Lenders will only count them if you have a 2 year history and then they will average the number. So, the bottom line is that once you feel comfortable you can own the home for at least 5 years, feel relatively stable in your job and don’t see any dramatic short term changes in your financial situation, you should take the next step toward home ownership.